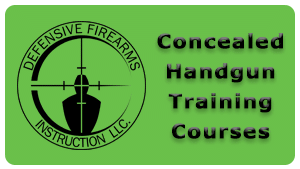 Tactical Handgun 1 is the flagship firearms course at Defensive Firearms Instruction. 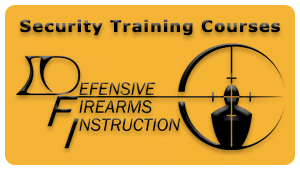 During the 8-hour course our goal is to provide students with the tools and mindset necessary to properly defend one’s self and their loved ones. Whether you are a beginner or a seasoned veteran, you will get something out of this class. Along with top quality instruction, you will have the opportunity to practice drills in a safe and friendly atmosphere that you aren’t able to do at most public ranges. We gear our drills towards not only making you more comfortable with firing and manipulating your firearm, but towards preparing you for a defensive encounter. We begin the day by going over the mindset and philosophies of use regarding the carrying, use and ownership of a firearm. We then begin the dry fire segment of the class. This will include going over proper handling of the firearm, drawing and holstering, loading/unloading, and malfunction clearing. After getting these fundamentals down we move into the live fire section of the class. This portion begins with an accuracy assessment where you will get direct guidance and feedback tailored specifically to your needs from our competent instruction staff. During the rest of the live fire portion we go over single-handed firing, shooting from behind cover, shooting from kneeling and prone positions, close contact drills, and multi-target acquisition drills. The culmination of the course is the Oregon DPSST PQC-1 Handgun Qualification Course. This will allow you to quantify your skills and compare with what is required of your local law enforcement. By quantifying your abilities, it will allow you to set a bar for achieving and surpassing your goals. Firearm rental (which includes ammo) is available with advanced notice for an additional $80.00.